2012 is the end of the world, so sayeth those who misread and misunderstand the Mayan calander. But what fun if the Zombie Apocalypse was really upon us! 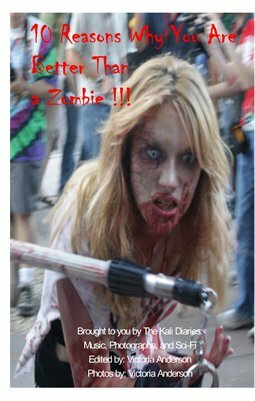 I asked several noted rock stars to tell me why they and their bands are better than Zombies. The answers will surprise and delight you. 10 Reasons Why You Are Better Than a Zombie features the members of Goatwhore, Hate Squad, Countless Thousands, Volbeat, Suicidal Tendencies, Relicseed, Evile, and 68Zombie comic contest winners.